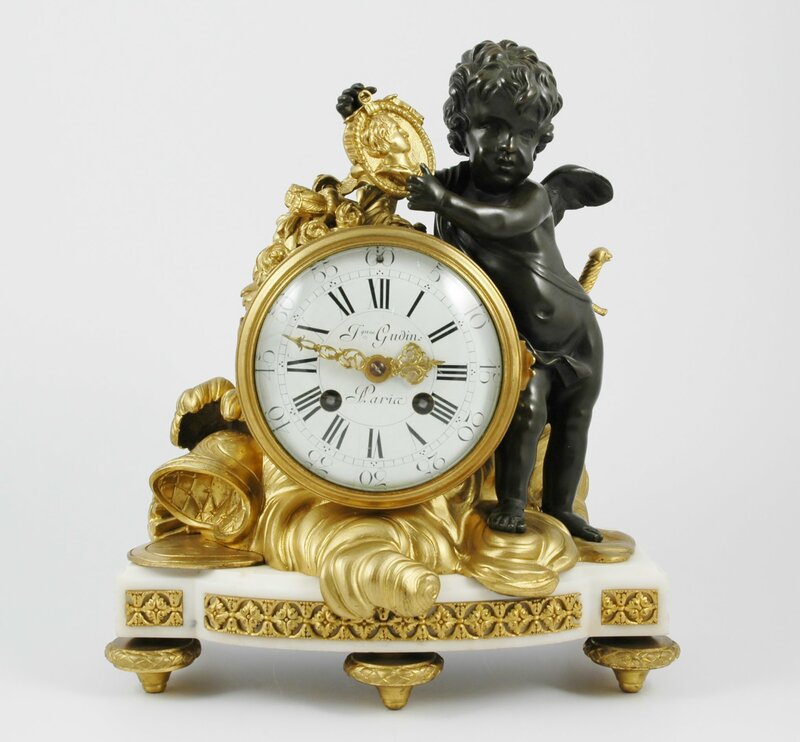 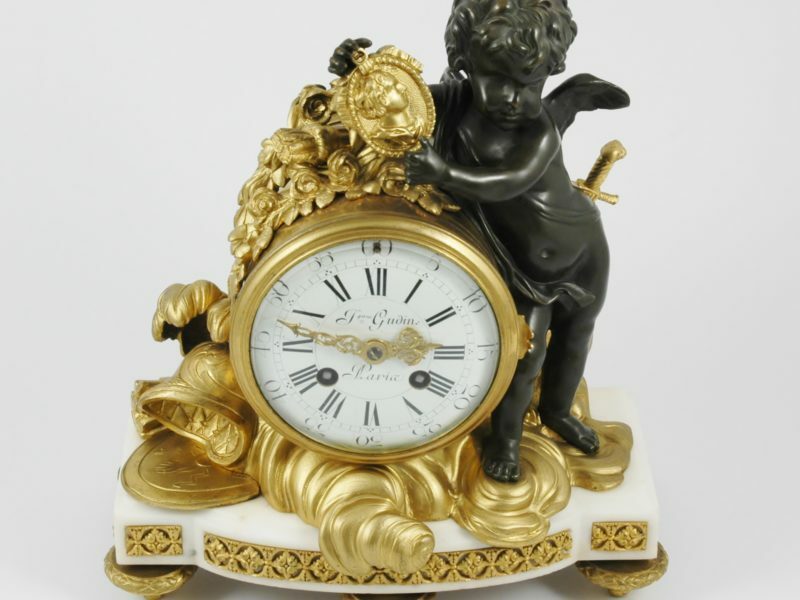 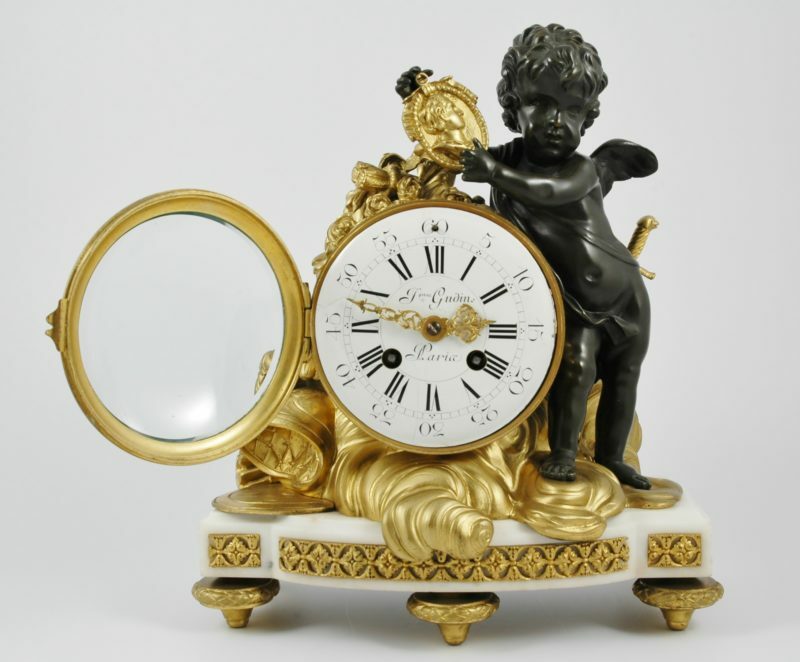 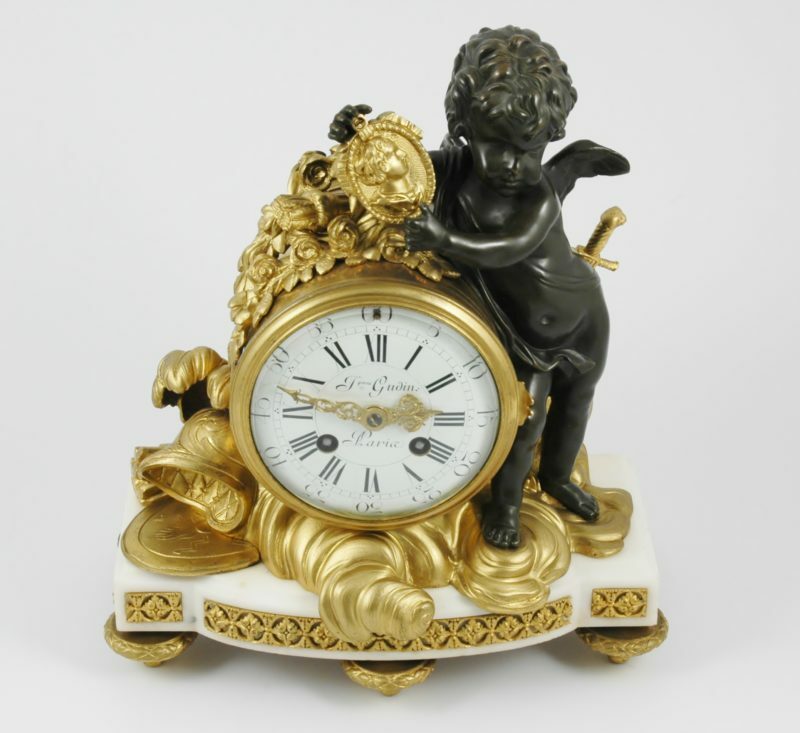 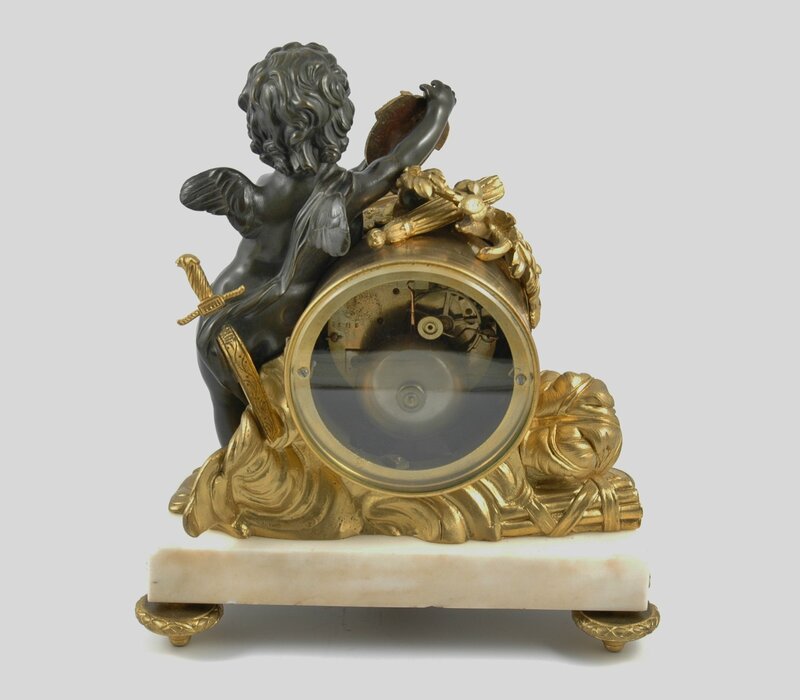 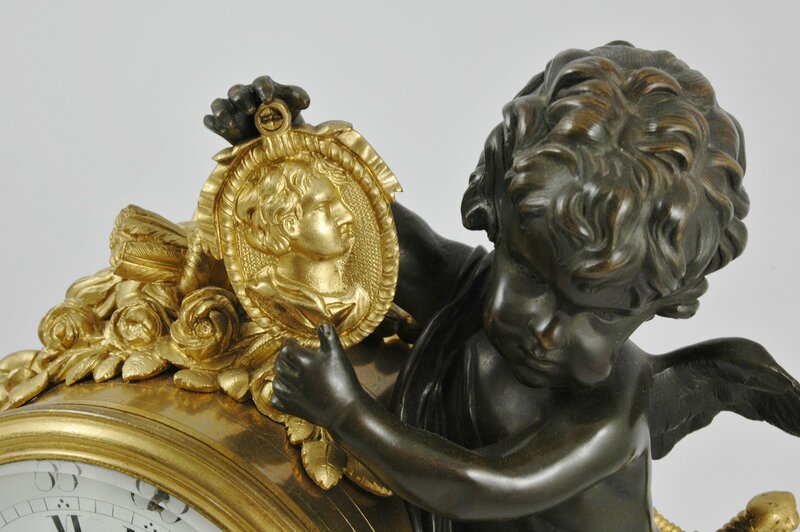 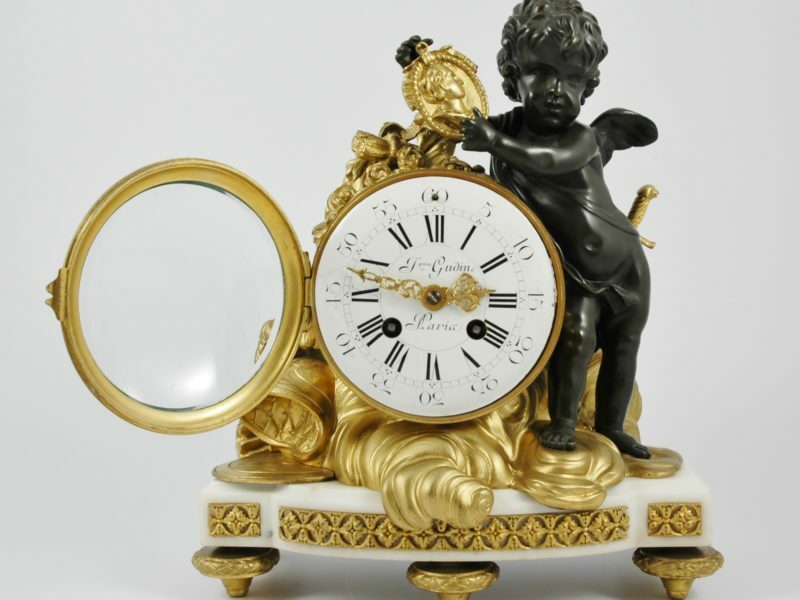 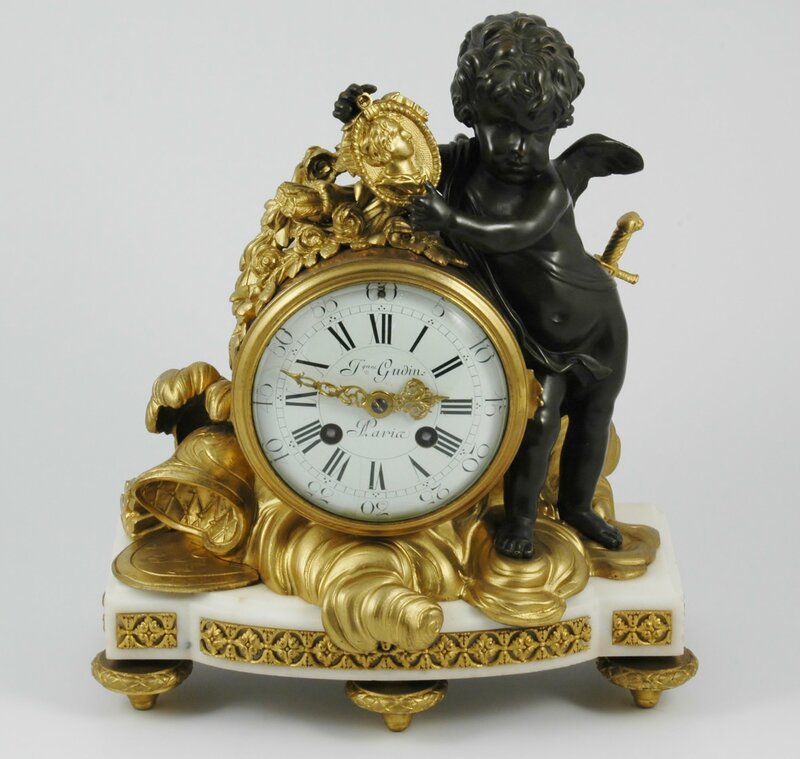 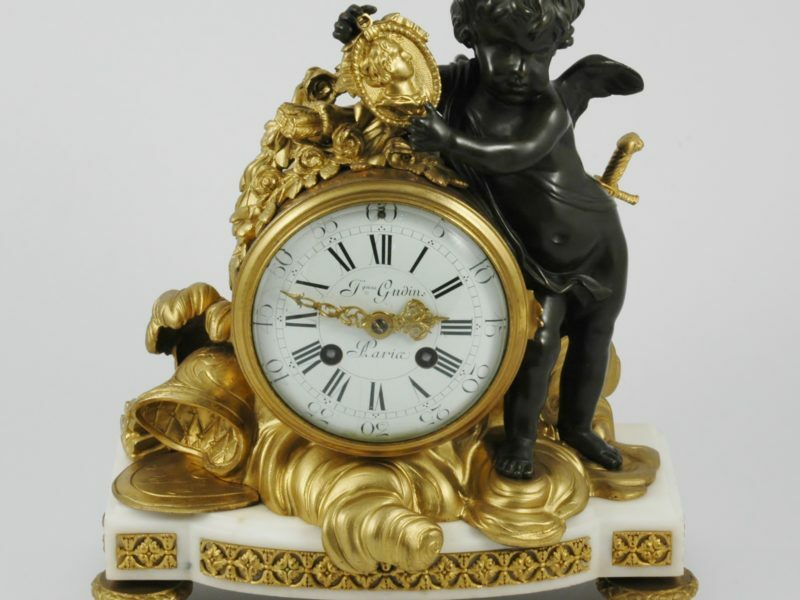 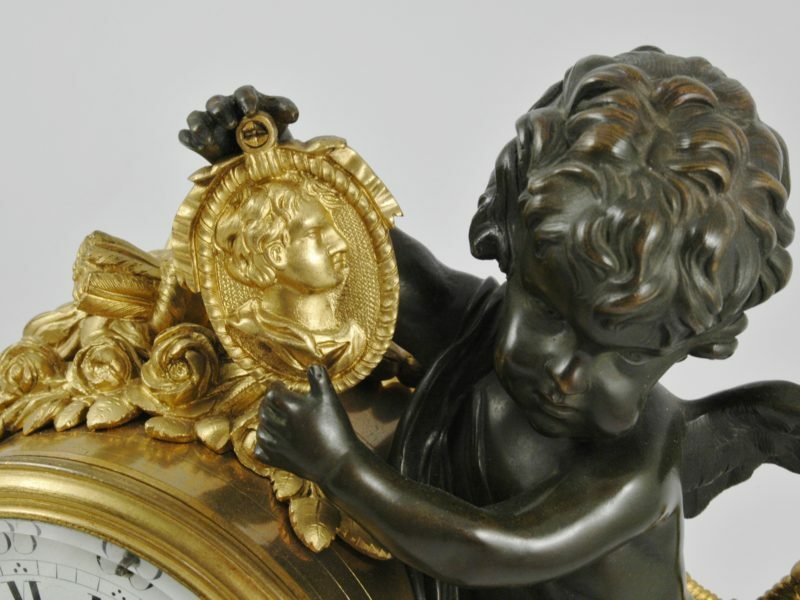 A French Louis XVI ormolu, bronze and marble mantel clock, the dial signed Jques Gudin Paris. 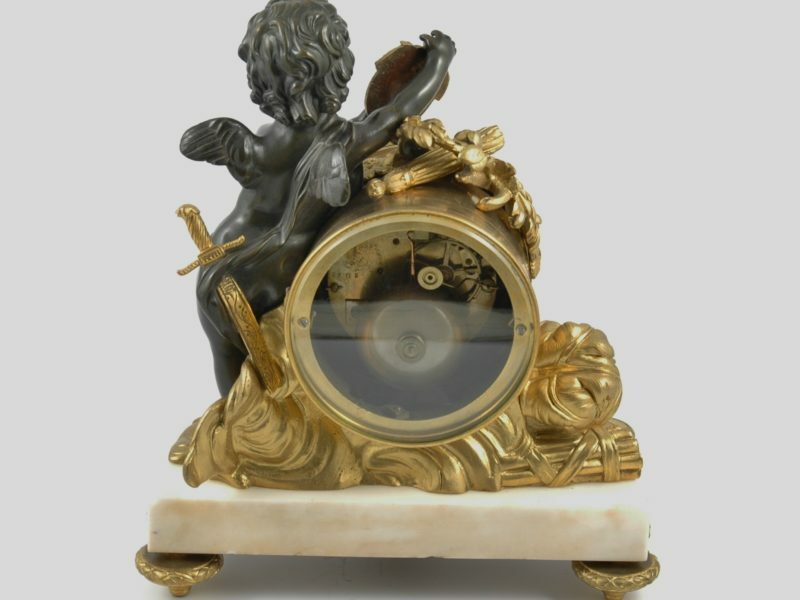 Circa 1795- 1800. 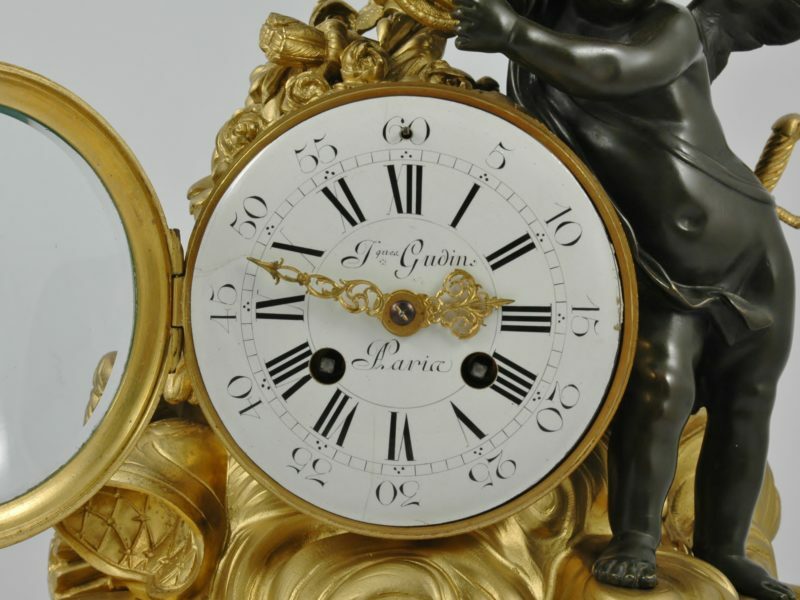 J. Gudin recorded in Dictionnaire des Horlogers Francais by Tardy. 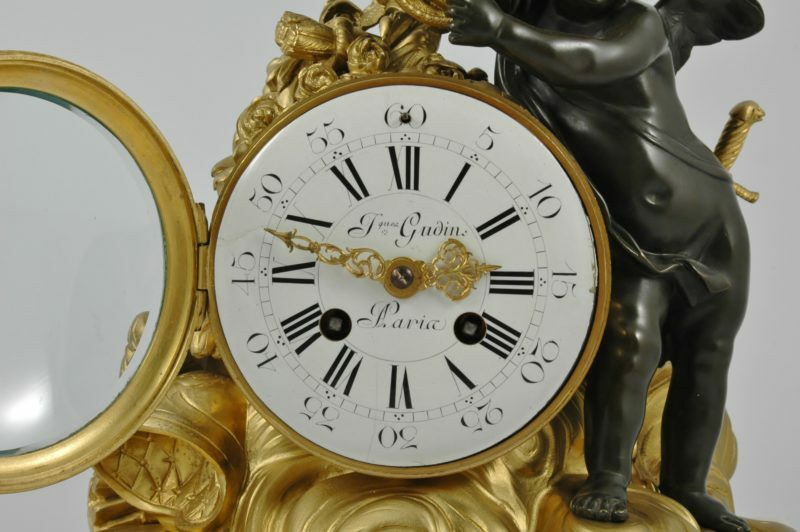 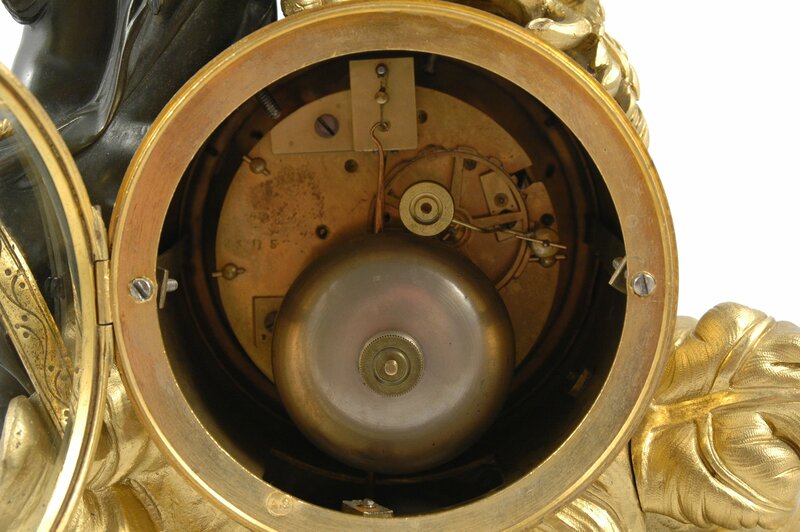 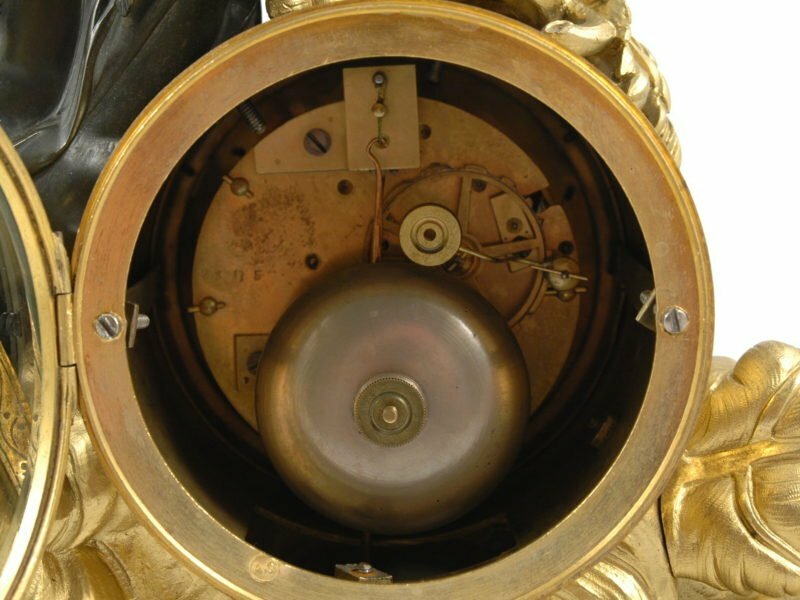 The movement with silk thread suspension striking on the half hour and hour. 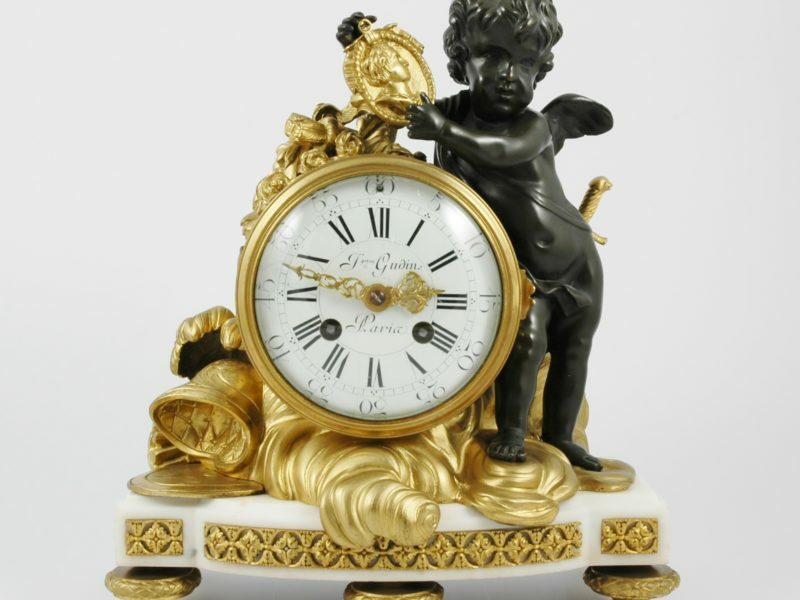 Provenance: Sotheby’s Johannesburg, 27 February 1986 (Lot 232). 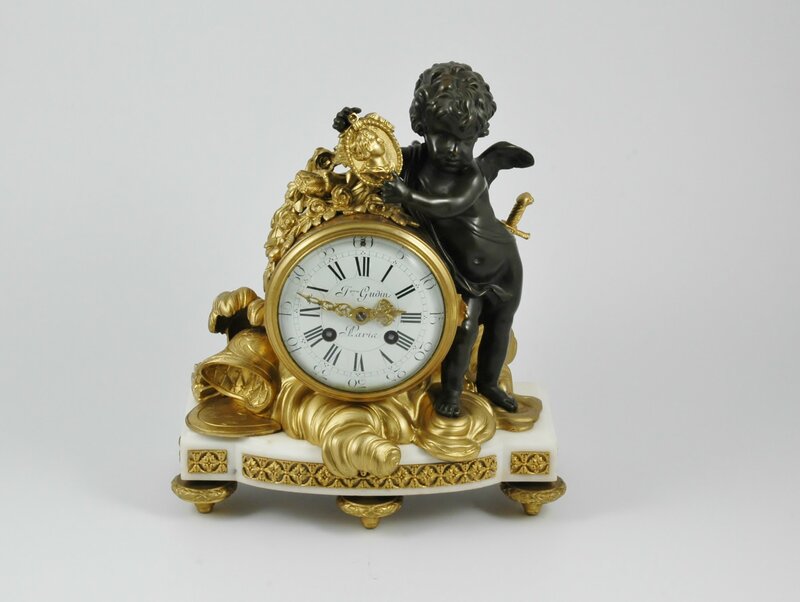 Dimensions: 24 cm wide by 14 cm deep by 29 cm high.